You might be surprised when I tell you that no matter how carefully you choose your tennis racket, the tennis strings are also likely to have a big impact on your game as well. The tension, material and the gauge of your strings make all the difference. A lousy string job will also make your game suffer. High quality stringing gives you an edge. When it comes to tension of the string job, here are your options: lower tension stringing offers you more shot power, less wear and tear on your arm, but less control over your racket. The looser your strings, the farther you can hit the ball. A high tension string job gives you more control, so if you play an intense game or hit hard, this is your best choice. However prolong playing with a tightly strung racket may hurt your arm in the long run so you got to be careful. Any racket can be strung to your requested tension, and a normal range these days is 40-70 pounds. The stiffer your frame the more tightly it can be strung. You should always consider the health of your frame and its condition first. 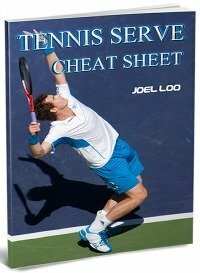 The cross string pattern on a tennis racket creates the tension that propels the ball. Since the main strings take more tension due to their length, they need to be tighter than the cross strings (width). 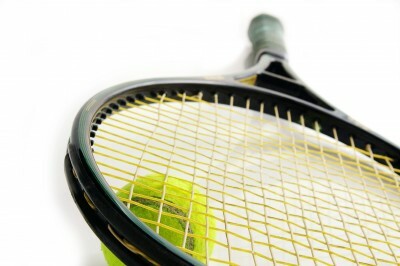 A stringing professional may ask about your game and playing style when deciding what tension to use on your racket. The best type of tennis strings and gauge for you depends on how you play. I recommend you ask for your string to be pre-stretched before your racket is strung. Otherwise it can quickly slip and lose 10% or more of its tension within your first day playing with it. Thanks to tennis stars like Rafael Nadal and Francesca Schiavone who both conquered the French Open last year with polyester strings, the latest string craze is polyester! In comparison, gut and synthetics fall far behind in popularity now. Polyester string has been proven to give a better spin than nylon string. Natural gut, always versatile and resilient, is no longer considered superior to synthetic choices. Synthetics are more durable, and synthetic gut has improved so much recently some experts can’t tell the difference anymore. When it comes to gauge, let me share with you my advice: 15 for beginners and middle range players, 16 for people who take their tennis seriously and 17 for those who make enough money at tennis to keep replacing their strings. The gauge that lasts longest is 15 but there are several things to consider before deciding which is best for you, such as altitude, court surface, frequency and intensity of your game. Keep in mind that the environmental conditions where you play will affect the endurance of your string job. The court surface also influences your strings. Clay and grass courts can be hard on a good string job because the ball carries dirt. Choosing the correct tennis strings for yourself takes time. It requires some trial and error in the process to find out which string and combination (tension and gauge) are the most suitable for you. 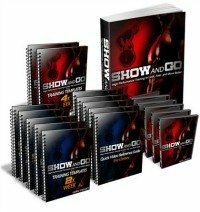 Trust me, it is a fun process worth going through because it will impact your tennis game tremendously. 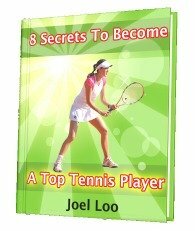 From "Why Tennis Strings Are So Important To Your Game" To "How To Play Tennis Efficiently And Become A Better Player"